Are you advocating for public financing of elections? Why do we need to change parties to vote for who we really want? Is it possible to drop party designations when voting on candidates? This Vekeo event was with Open Primaries and featured guest speakers Attorney Danny Ortega of Ortega Law Firm and the mayor of Phoenix, Paul Johnson. Open Primaries wants to enact nonpartisan primaries, not partisan politics. There needs to be a free market in politics and it's not just happening in Arizona but all over the country. Every voter should have the right to vote for any candidate. With the Presidential elections being the most protected, closed partisan primaries exclude millions of independent voters. 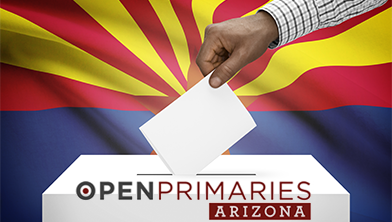 Independent voices are drowned out.10,000 Arizonans sent letters to the chair of the Democratic party demanding that they open up the Presidential primaries to Independents.